EXCELLENT INVESTMENT OPPORTUNITY!! BEAUTIFULLY MAINTAINED & UPDATED BRICK TWO UNIT PROPERTY W/ A FINISHED IN LAW ARRANGEMENT ON A CORNER LOT. 1ST UNIT BOASTS RENOVATED KITCHEN W/GRANITE COUNTER-TOPS AND UPDATED BATHROOM. NEW FURNACE & ELECTRICAL W/ A NEST THERMOSTAT. 2ND UNIT ALSO FEATURES A RENOVATED KITCHEN W/GRANITE COUNTER-TOPS & STAINLESS STEEL APPLIANCES. 2ND UNIT ALSO CONTAINS AN UPDATED BATHROOM PLUS A DEN! DON'T MISS OUT! GREAT LOCATION! Directions:North or South on Archer ave to Sacramento south to 39th Pl east to 3144. SchoolsClick map icons below to view information for schools near 3144 W 39th Place Chicago, IL 60632. Listing provided courtesy of United Real Estate-Chicago. Home for sale at 3144 W 39th Place Chicago, IL 60632. Description: The home at 3144 W 39th Place Chicago, IL 60632 with the MLS Number 10172513 is currently listed at $290,750 and has been on the Chicago market for 72 days. 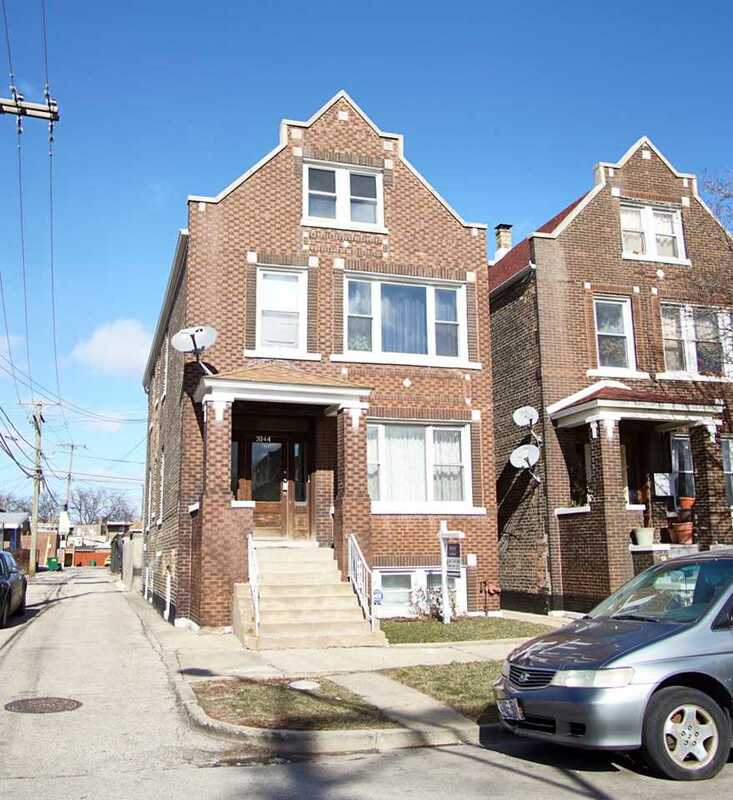 You are viewing the MLS property details of the home for sale at 3144 W 39th Place Chicago, IL 60632, which includes 5 bedrooms, 3 bathrooms and has approximately 0 sq.ft. of living area.